So this is a comparative between the low profile Leadtek Geforce GT 220 and a wide range of Nvidia and ATI cards by madshrimps website , lets begin with the Features and specifications of each card. Today’s digital world is demanding and you need a PC that can keep up. With the NVIDIA® GeForce® GT 220 graphics card, clean up and post your home videos faster, make your ordinary DVDs look like HD, and play popular games with better performance. Get more for your money with GeForce GT 220 graphics and equip your PC for the digital world. The GPU and Shader clocks are reference speed (625Mhz and 1360Mhz respectively) but the memory is running at only 800Mhz (vs 900Mhz reference). Nvidia will launch the 9500 GT to replace the 8600 GT in the low-end market in 1H' 08. It will be based on the G96 core with 32 stream processors sitting on a 6-layer PCB. Similar to the 8600GT, the 9500GT features 128-bit memory bus width and can be coupled with either GDDR2 or GDDR3. The NVIDIA® GeForce® 9600 GT GPU offers a powerfully immersive entertainment experience designed for extreme high-definition gaming and video playback. Play the hottest DirectX 10 games with awesome speed and watch the latest HD DVD and Blu-ray movies with brilliant clarity. Featuring next generation GeForce and PureVideo® HD technologies, the GeForce 9600 GT GPU puts amazing graphics performance within your reach. 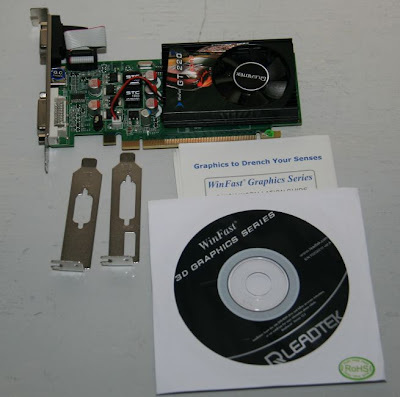 The Leadtek Geforce GT 220 1Gb clearly beat the 9500 series and the 9600 serie still the leader of the low range graphic card , so if you are searching for a low profile graphic card the Leadtek Geforce GT 220 1Gb is a good choice and the 9600 series is the best choice. Great , GT220 is just a new better card not a rebrand by nvidia . i think i will buy 9600gt ddr3 instaed of GT220 ...any advice??? yep good choice 9600GT is a great card ! 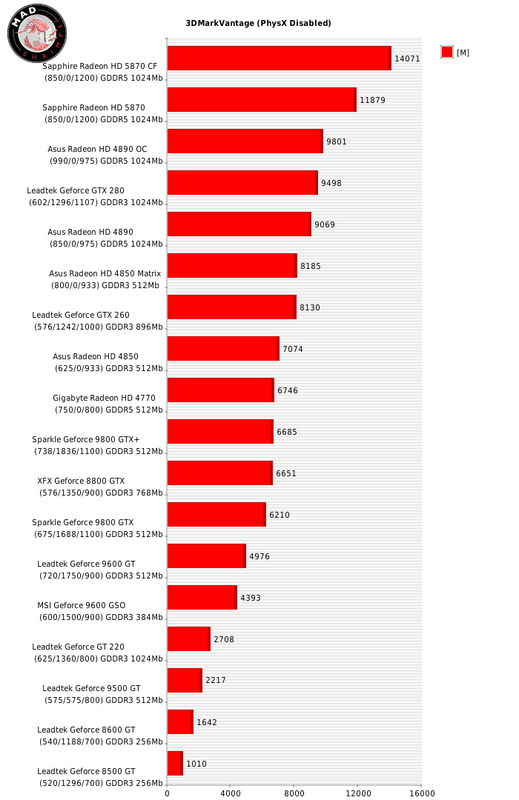 a 9600GSO is a crippled 9600GT and it's still around 30% faster than a 220..... AND THEY ARE THE SAME PRICE!!! 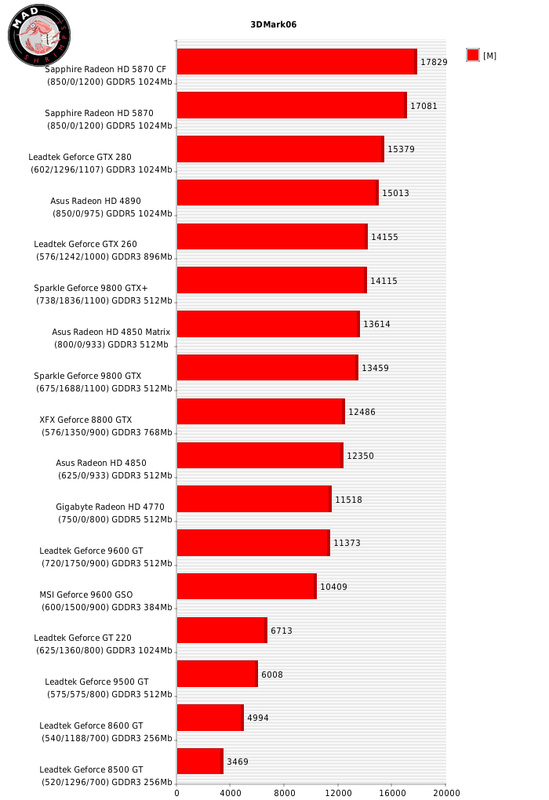 "As you can see up there the Leadtek Geforce GT 220 1Gb clearly beat the 9600 series and sightly beat the Geforce 9500GT"
You must be insane if you look at the benchmark results and say the 220 beat out the 9600 series.... You need to revise your closing statement. "a 9600GSO is a crippled 9600GT and it's still around 30% faster than a 220..... AND THEY ARE THE SAME PRICE!!!" Depends on the GSO you get. The original GSO was 3/4 of a g92 enabled giving you 96sp but they only put 384 megs of memory on it but some showed up with 768mb. It disappeared and showed up again several months later with the semi-disabled 9600 gpu.